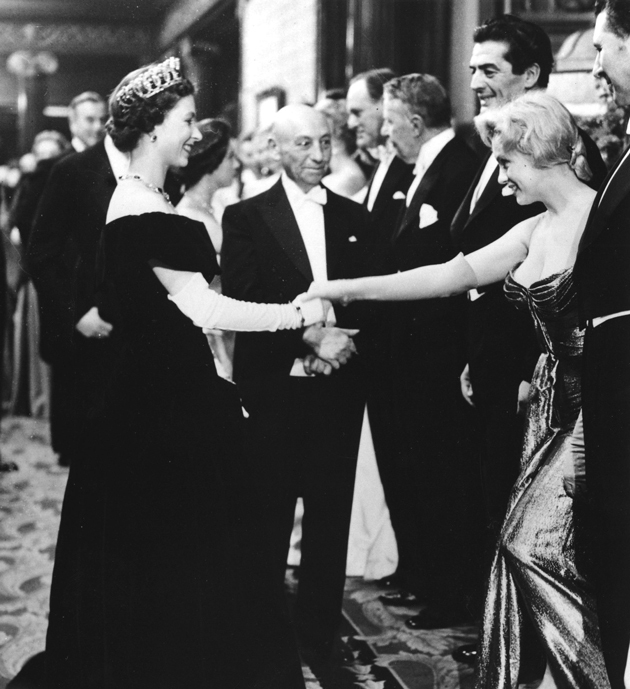 Our nation’s longest serving monarch, Queen Elizabeth II has seen our country through both some of the best, and worst, of times. 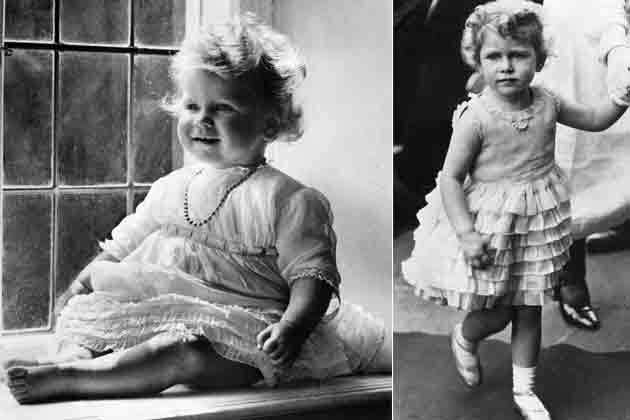 Here, we look back through her life in pictures, from her early childhood, to her grand coronation, and to today as she continues to fulfil her public duties and takes on another big role – as great-grandmother to Savannah, Mia, Prince George, and little Princess Charlotte! 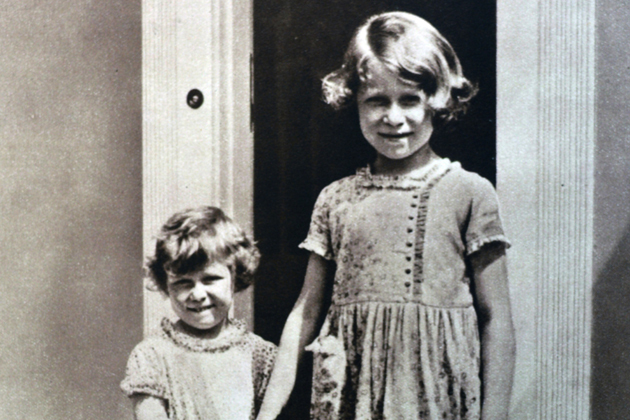 The future Queen was born at 2.40am on 21st April 1926 at 17 Bruton Street in Mayfair, London. 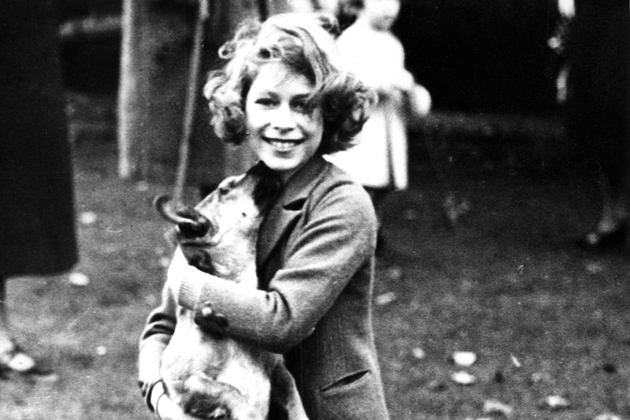 She was the first child born of King George VI and Queen Elizabeth, and was named after her mother. Princess Elizabeth lived in the Royal Lodge in Windsor Great Park and was educated at home with Princess Margaret, her younger sister. One of the first of many photographs of Queen Elizabeth II on the balcony of Buckingham Palace. 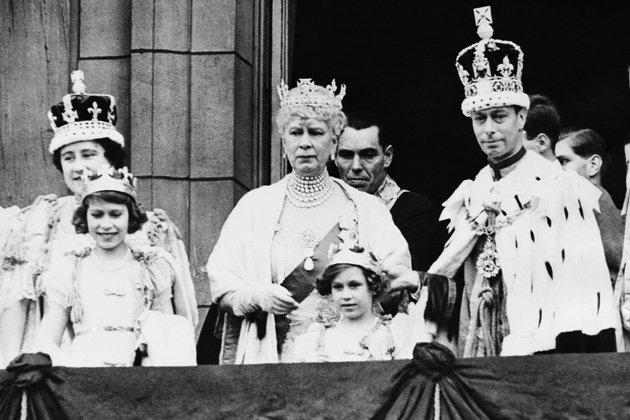 Princess Elizabeth and Princess Margaret join their mother and father, King George VI, after the King and Queen’s coronation in May 1937. Elizabeth’s love of animals was evident from early on, and she always seemed at her happiest when outdoors with her dogs and horses. 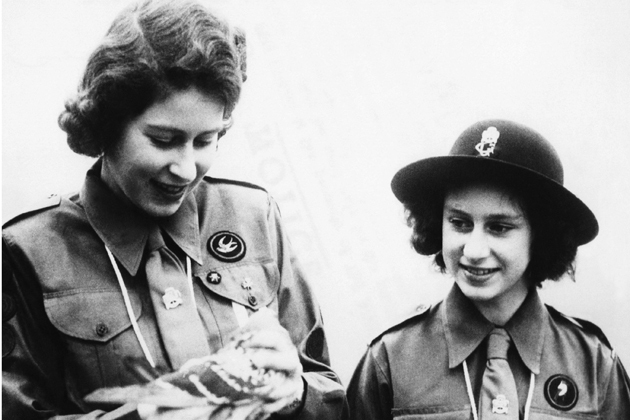 Princess Elizabeth and Princess Margaret serving in the Women’s Auxiliary Territorial Service in the early 1940s. 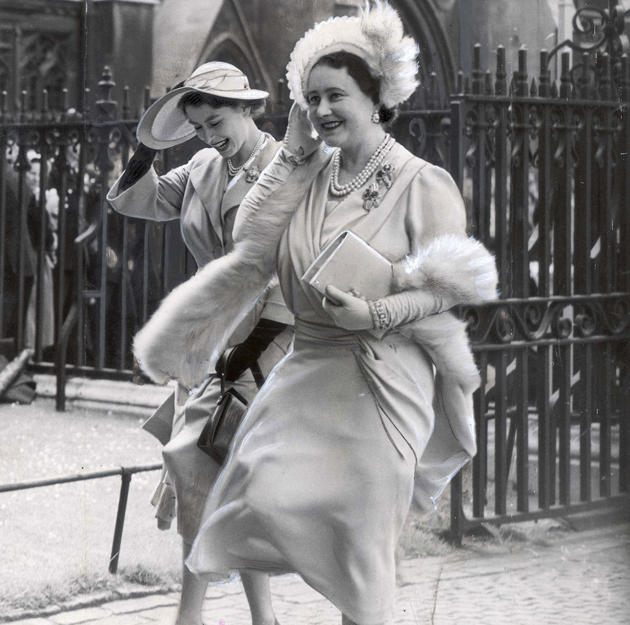 During the Blitz in the 1940s, the young Princesses were moved for their safety to Windsor Castle. 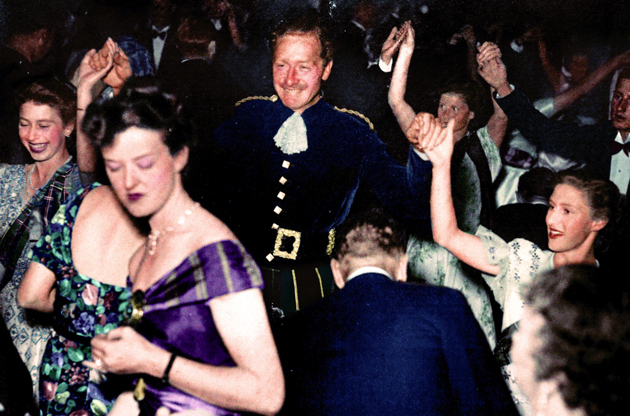 It was well known that Elizabeth (far left) loved to dance, and on VE Day, she and Princess Margaret slipped out of the palace and into the crowd to celebrate! 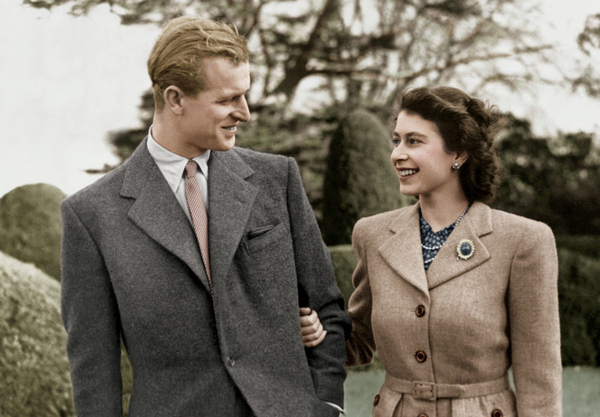 To read the Queen and Prince Philip’s royal love story in full, click here! 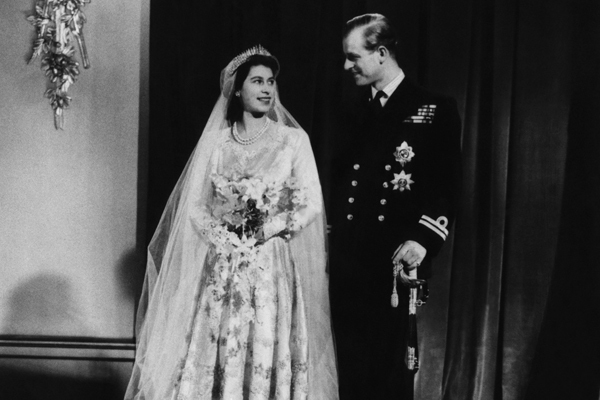 They were eventually married in Westminster Abbey on the 20th November, 1947 in front of 2,000 guests! 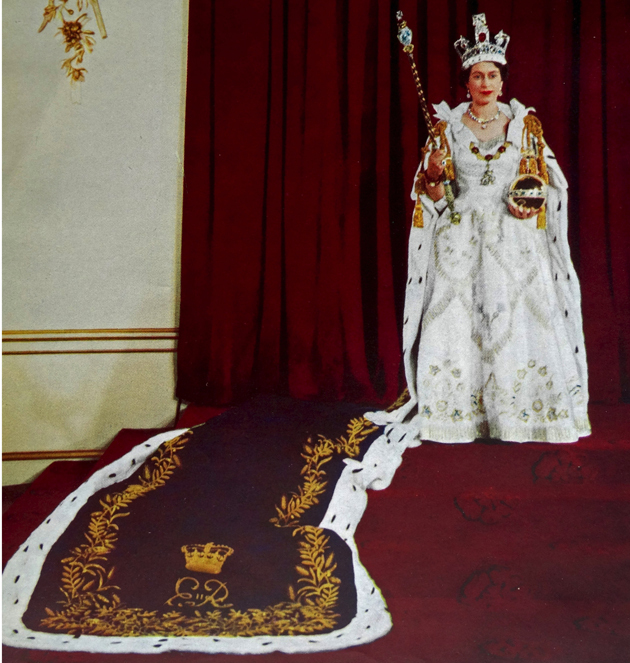 The Queen’s Coronation took place in Westminster Abbey on 2nd June 1953. Elizabeth was 27 years old. 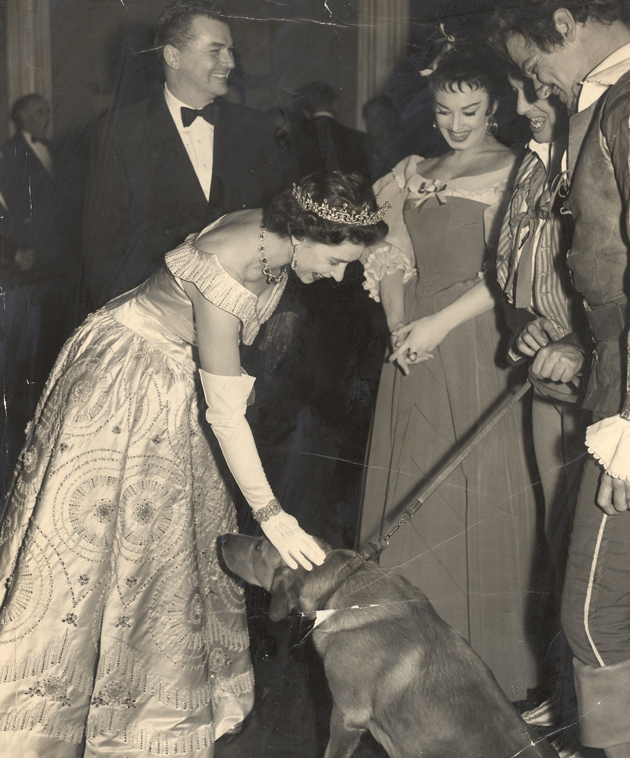 The Queen loves animals so much, that even as black tie events and balls, Elizabeth would break formalities to pet and interact with them! 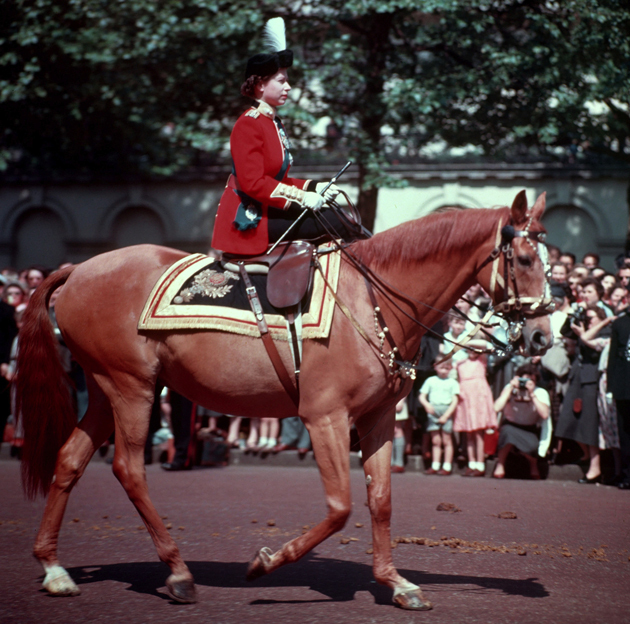 Despite being able to ride side-saddle, as she can be seen doing here during a ‘Trooping Of The Colour’, the Queen actually prefers not to in private, as she has said she feels more in control that way. 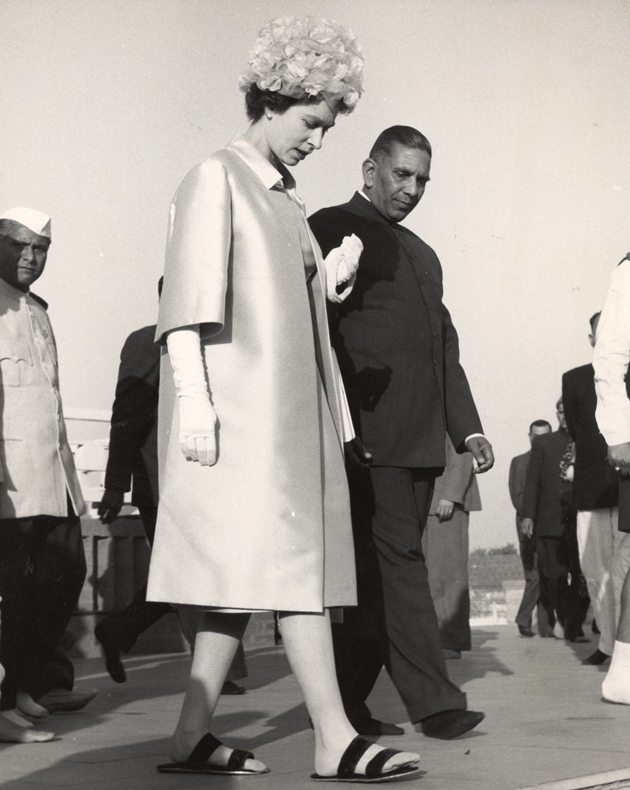 The Queen looks perplexed when wearing sandals for one of the only times EVER in public during a royal tour of India 1961. 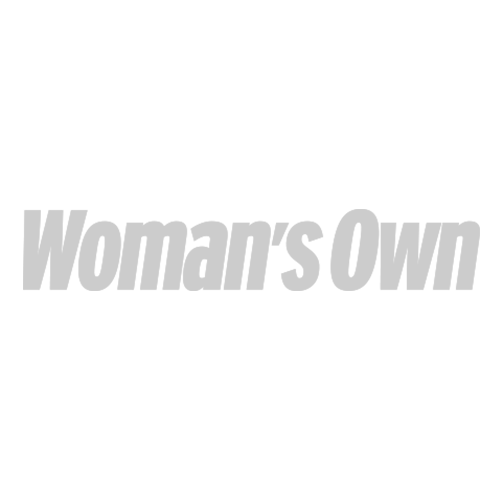 The Queen is particularly well travelled, having been to Australia 15 times, Canada 23 times, Jamaica 6 times, and New Zealand 10 times! 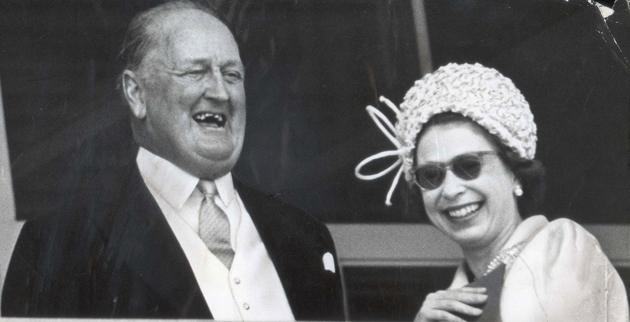 The Queen can’t contain her laughter whilst chatting to her Racehorse Trainer and enjoying a day at Epsom in 1965. 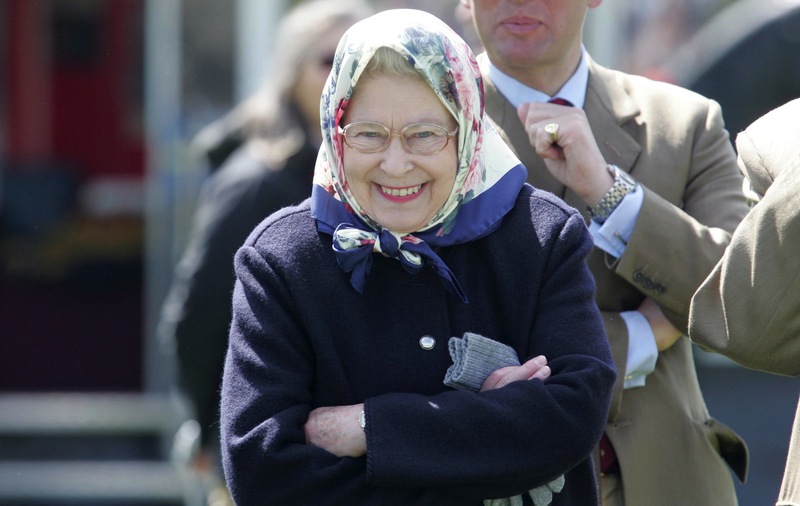 The Queen makes sure to attend the Derby at Epsom, and the Summer Race Meeting at Ascot, every year because of her love of horses. 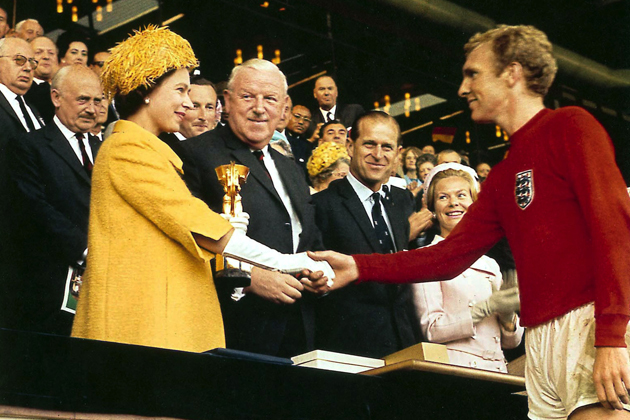 The Queen presents the future Sir Bobby Moore with the trophy at the 1966 World Cup. 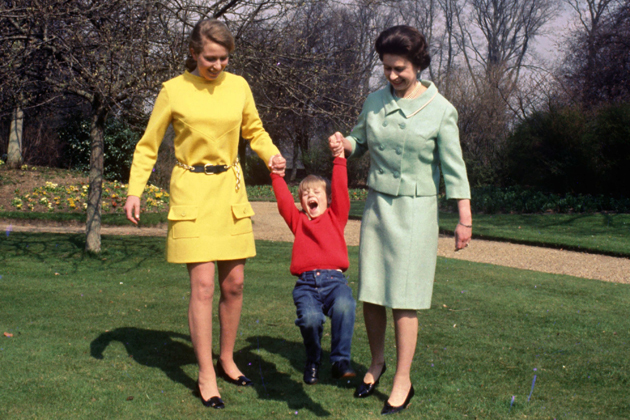 The Queen and Prince Philip had four children in total – Prince Charles, Princess Anne (pictured here), Prince Andrew, and Prince Edward (being swung in the picture). They also have 8 grand-children now, and 4 great-grand children! 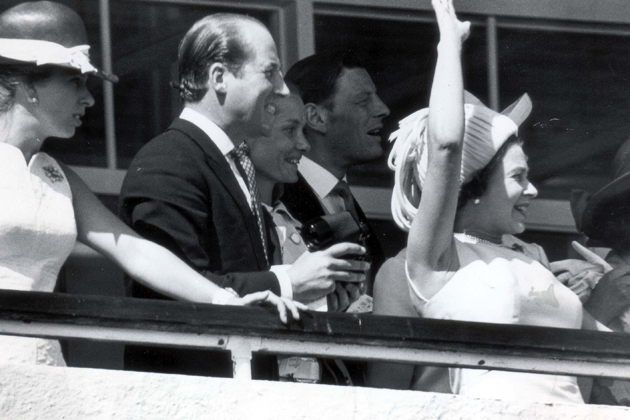 The Queen can’t control her excitement watching a horse win at Epsom in 1970. 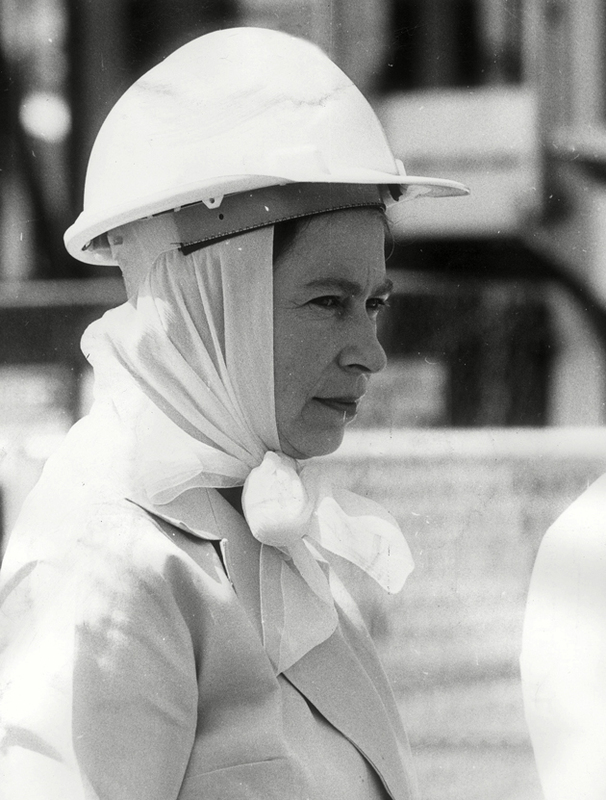 The Queen still manages to retain an air of elegance, even in a hard hat, during a visit to Mount Isa. 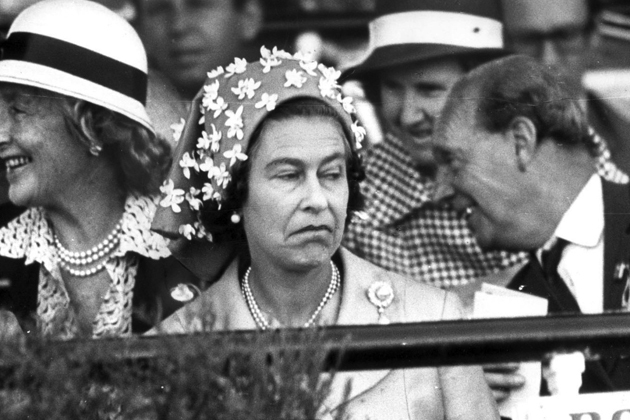 Her Majesty looks less than impressed watching the races in Melbourne in 1977! Perhaps she lost a bet? We’ve all been there! 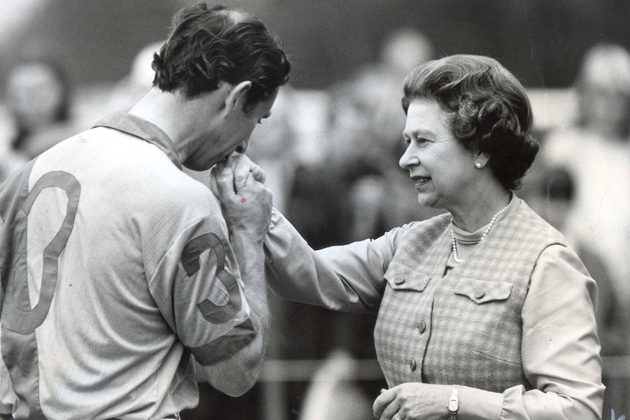 A tender moment between the Queen and her son in 1984. 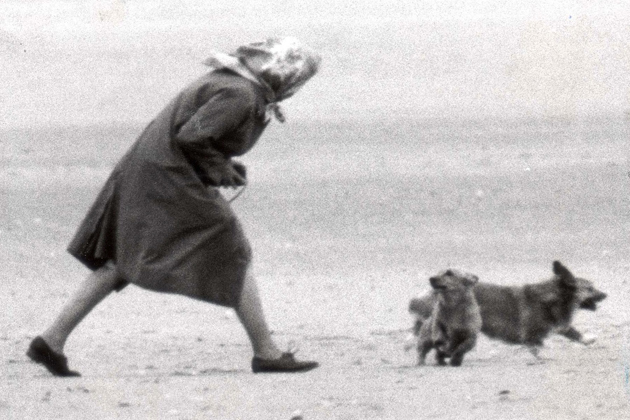 The Queen has always loved her dogs, and enjoyed taking them out for walks alone. She even once had a footman demoted for feeding her corgis whisky! 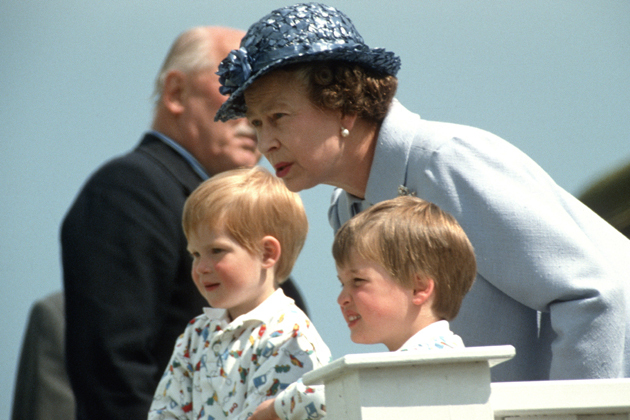 The Queen, pictured here sharing a sweet moment with Prince William and Harry, was a wonderful grandmother and is now a great-grandmother! 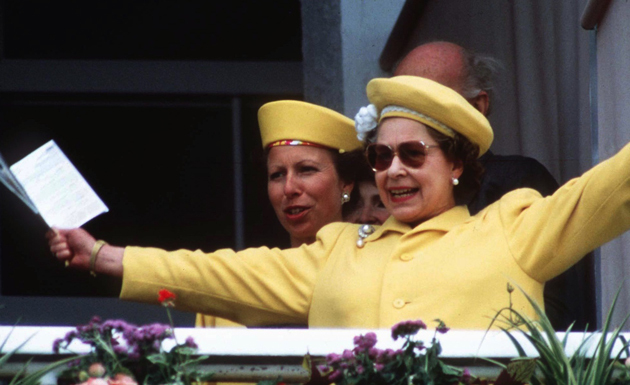 The Queen loves to win, and luckily her horses have won races at Royal Ascot on a number of occasions! 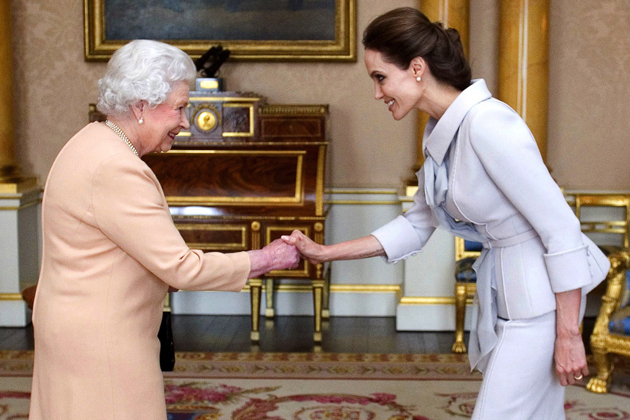 The Queen of England meets the queens of 90s pop – The Spice Girls! The Queen cannot hide her shock (or disapproval!) 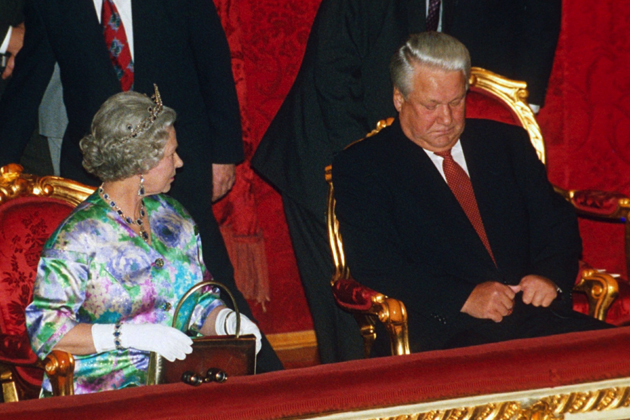 when the guest sitting next to her falls asleep at the ballet…rather him than us! 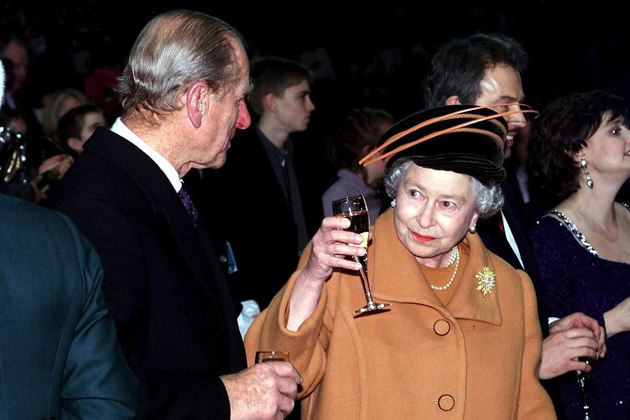 Toasting the year 2000, the Queen and Prince Philip celebrate the coming of the millennium with the crowds in London. 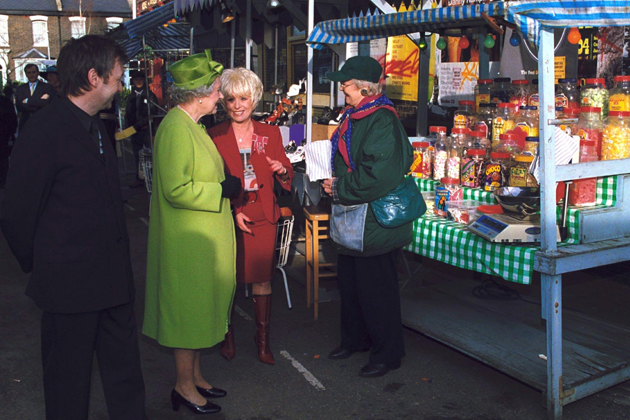 The Queen gets given a tour of Albert Square and the set of Eastenders by Barbara Windsor. 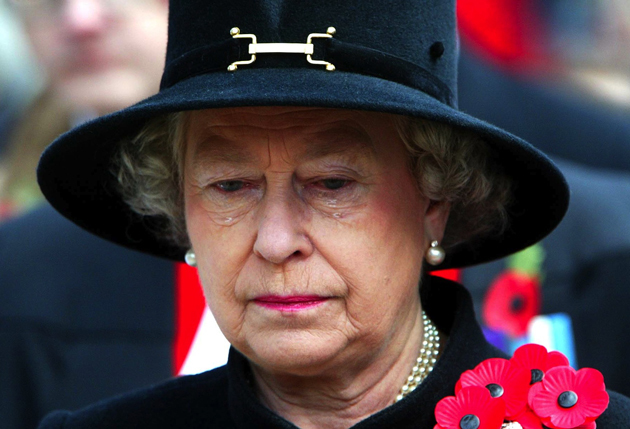 After the death of the Queen Mother, Queen Elizabeth II was visibly moved as she took over her mother’s role at the annual ‘Field Of Remembrance’ service at Westminster Abbey. 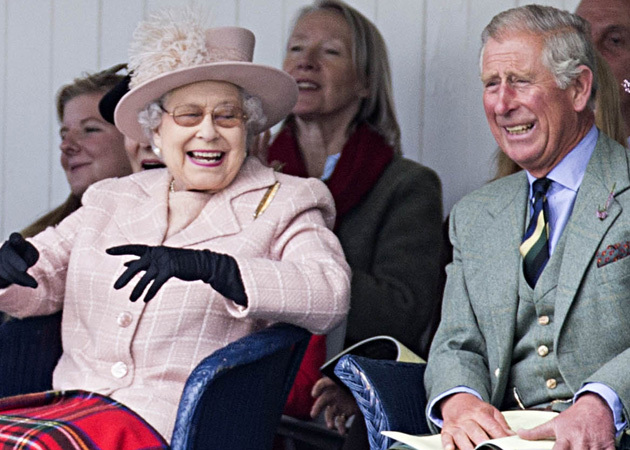 The Queen and her son Prince Charles share a similar sense of humours, and can’t contain their laughter at the polo together. 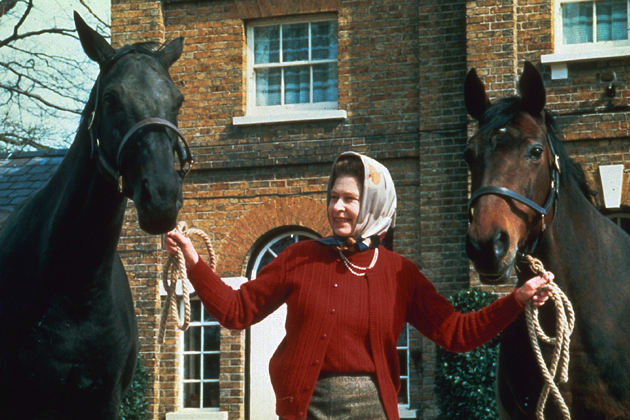 One of Queen Elizabeth’s greatest pleasure is walking outdoors and being in the countryside. 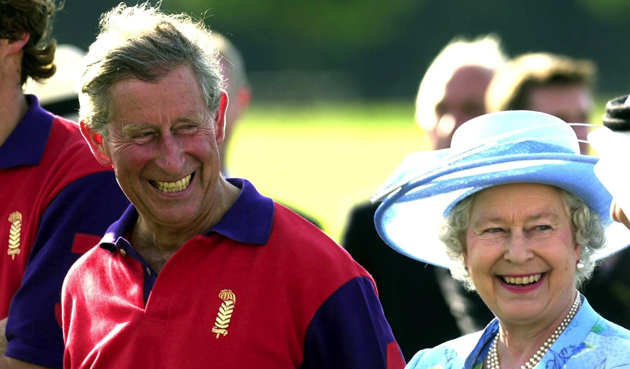 She couldn’t contain her happiness whilst visiting Windsor Horse Show in 2005. 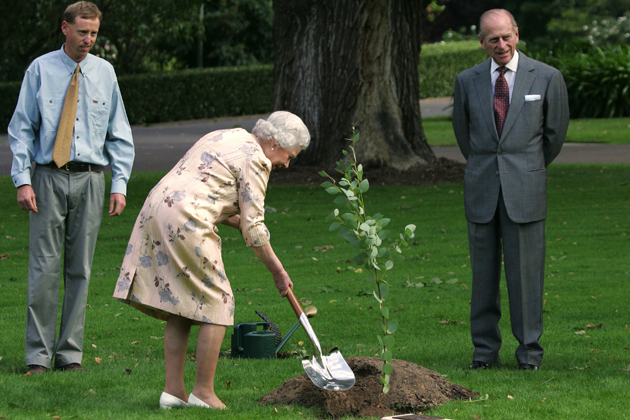 The Queen isn’t afraid of getting her hands dirty and gets stuck in planting a ‘Black Sally’ eucalyptus tree in the grounds of Government House, Canberra whilst in Australia with Prince Philip. 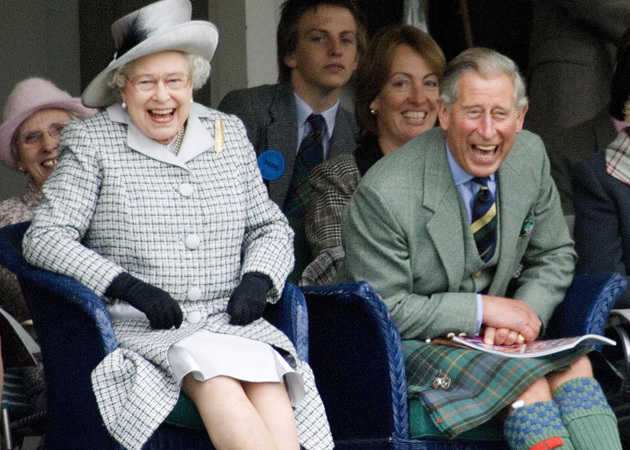 The Queen always loves to share a joke with Prince Charles whilst in Scotland! The sweetest picture ever! 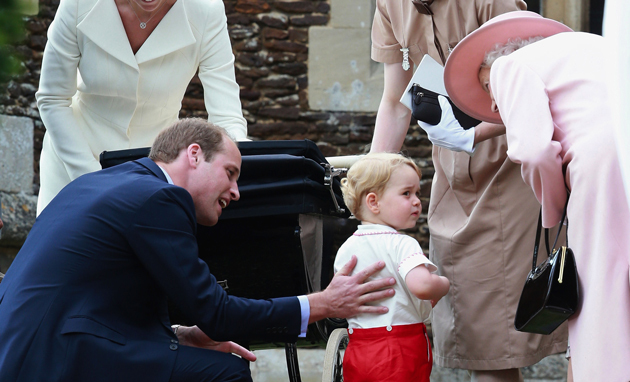 Queen Elizabeth II takes a moment to chat with her great-grandson Prince George before Princess Charlotte’s christening. The Queen enjoys Trooping the Colour to celebrate her 90th birthday in 2016, with members of the royal family.